I’ve been somewhat of a advocate for Windows 8, a person who enjoys it for the most part on the desktop because of various improvements but hasn’t found Metro as “inspiring” as Microsoft claims it to be. 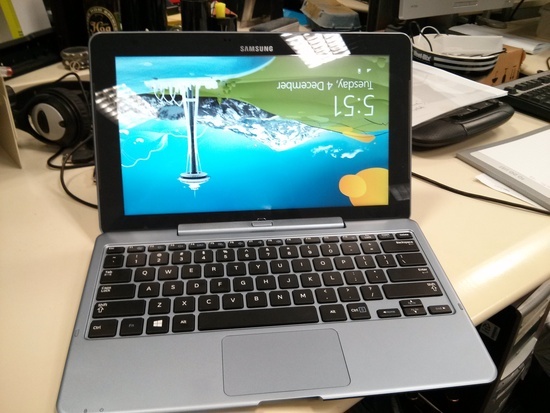 Over the last few weeks, I’ve been trialing Samsung’s Ativ Smart PC, the flagship Windows 8 convertible for the company. 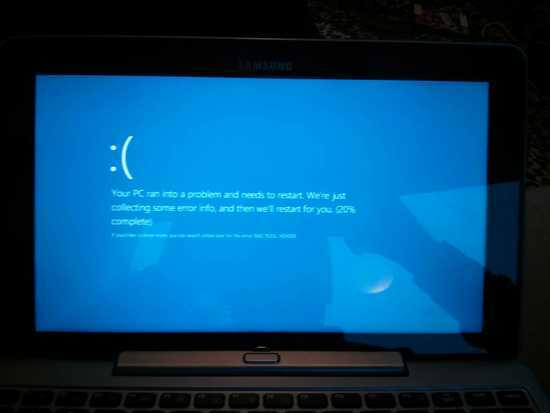 What I thought would be an experience of the future of computing (with a ultraportable, tablet PC) ended up being an exercise in futility which showed just how much Microsoft doesn’t get it still. I figured this would be a one off, rebooted and carried on. It wasn’t. Every now and then, when I least expected it, the device blue screened. After figuring this was a software problem, I re-installed the OS using the new reset Windows functionality. It still happened randomly. Eventually, after troubleshooting, checking all the drivers and ensuring I wasn’t doing something wrong, I gave up on trying. This wasn’t the only issue, though. At least once a day the device would resume from sleep like the below. Weirdly enough, the device knew it was upside down, since down on the track pad still seemed to go towards the bottom of the device, but it clearly wasn’t able to recognize the fact that the display was up the wrong way. Locking and unlocking the screen rotation fixed it. You might think these are nit-picky problems, but these problems are issues that have existed since I can remember in Windows. If someone goes and buy a brand new tablet from the store, it should just work out of the box. It should behave how you expect. These issues show that Microsoft still doesn’t fully understand why Apple has cornered the market. They don’t understand how polish and usability can influence how the consumer feels about a brand or device, and they don’t understand that many are put off the Windows brand by exactly these kinds of issues. You may argue that this is not necessary for all devices, but even Microsoft’s own Surface tablet wasn’t able to get away from this reality. Are we not at a point where it should be possible to automate all Windows update installations and drivers? Users shouldn’t ever have to see them, let alone worry about updating them. Tablets should know which way is up when they’re docked. Apple commoditized the tablet PC and it appears Microsoft may have missed the point. We’re still jumping through hoops to use something that should be simple. With the company making bold claims like Windows 8 is easy enough for a child to use and many others along those lines, they seem to have forgotten one of the largest issues facing their brand is that Windows is associated with complexity. It’s associated with beating around the bush around to get things working how they should. It’s associated with things breaking. The level of complexity is not insurmountable but it’s one that’s existed in Windows forever and that has been removed (or at least hidden) from their competitors’ platforms. It’s not hard to figure out: Users don’t want to mess around with their new purchase to get it right. Every minute they spend configuring the device is another minute they’re less happy with their purchase and aren’t actually using it. 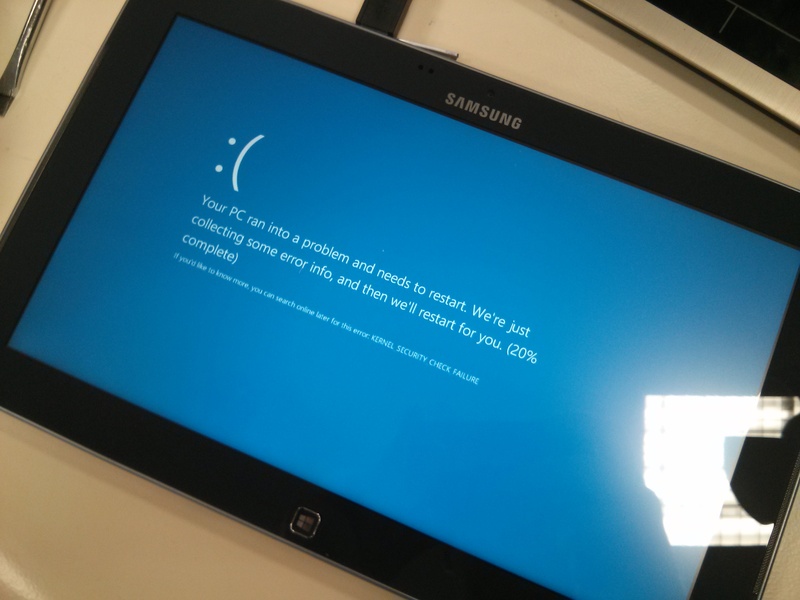 I’m not convinced Windows 8 is the future of consumer computing. Edit: I’ve had a lot of people pointing out that I may have had faulty hardware that caused the problem. This may have been the case, but the fundamental issues still remain; Users are the ones that suffer and are forced to troubleshoot all manners of drivers and updates. Windows is still overly complex and requires extra effort over platforms that competitors offer. It’s not straightforward and simple, and that’s precisely why platforms like iOS are rampantly popular. If you’re one of the people who might like to contact me and let me know that perhaps my hardware is faulty, go ahead, but I’ve also got a slew of emails from people that have had similar issues having to mess around with the OS and have had enough of the way things are.